These two mills are know as Jack and Jill. 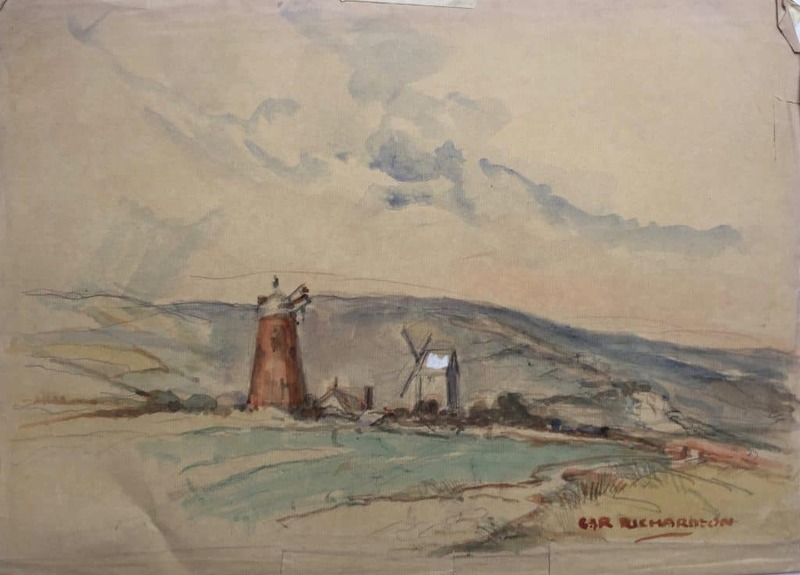 The style of this painting suggests it was done much earlier than the bulk of the windmill paintings. Thanks to Gareth Hughes, Adam Marriott and James Waterfield for identifying these. certainly the mills on the downs at hassocks called jack and jill, near clayton.